At a launch event in Dubai, the Nokia 8.1 was disclosed by HMD Global. The device is the global variant of the Nokia X7 which was launched in China in October and is the replacement of the Nokia 7 Plus. 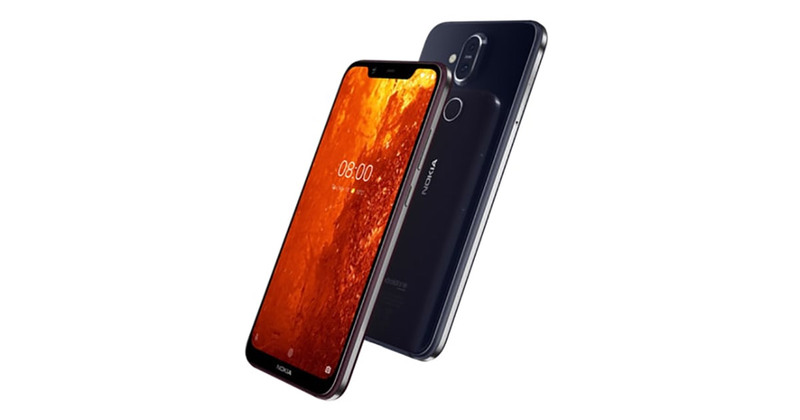 The Nokia 8.1 has the specification almost same as Nokia X7 but it is the part of the Android One Programme like other HMD Global Nokia smartphones earlier. The Nokia 8.1 has 6.18-inch PureDisplay with HDR10 support, dual camera setup with Zeiss optics, the Snapdragon 710 SoC, runs on Android 9 Pie and 3,500 battery along with 18W fast charging capabilities. The Nokia 8.1 is priced at EUR 399 (approx. Rs 31,900) and from “mid-December” it will go on sale in Middle East and European markets. It will be available with dual-tone color variants- Blue/Silver, Steel/Copper and Iron/Steel. In India, the Nokia 8.1 will be launched on December 10, 2018 by HMD Global. "We've seen great success in the value flagship category with each of our smartphones in this class consistently introducing new premium experiences to our fans. With the Nokia 8.1, we are further pushing the boundaries in this segment. We offer accelerated performance with a first-class processor architecture, dual cameras with an industry-leading sensor, OIS and Zeiss Optics for great low light imaging, and our new PureDisplay HDR screen technology" said Juho Sarvikas, Chief Product Officer, HMD Global, commenting on the launch.